4 images. 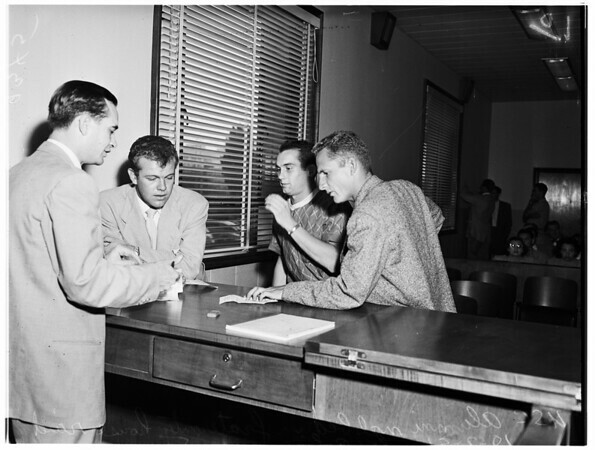 Fraternity House raid, 02 October 1951. Group of University of Southern California Alumni in Municipal Court after raid on Sigma Phi Epsilon Fraternity House at 630 West 28th Street.